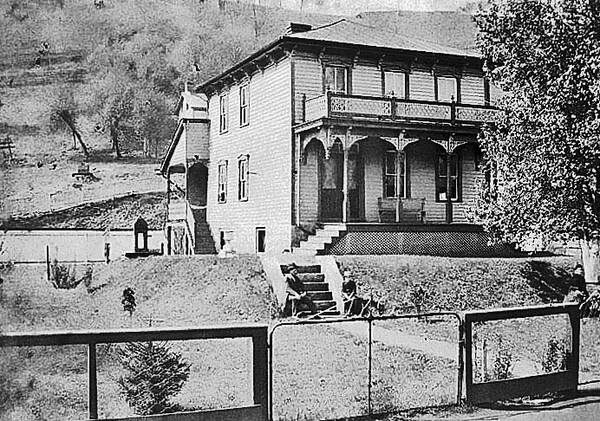 'Second home of M. H. Dent family - facing Barrett St. in Grafton, W. Va. - directly behind and above first home. Judge Dent & Herbert on steps - Mrs. Dent & Carrie under tree. Probably taken around 1890-95. He later built a large brick house on Washington Street uphill from Post Office.